When the Dell 2135CN indicates that it is time for a toner cartridge change, have a new cartridge handy and begin the replacement procedure by pressing the side button and opening the front cover of the unit. The old print cartridge will be seen in the top cartridge slot behind the door. This cartridge can be pulled free and must be disposed of properly, preferably by recycling. 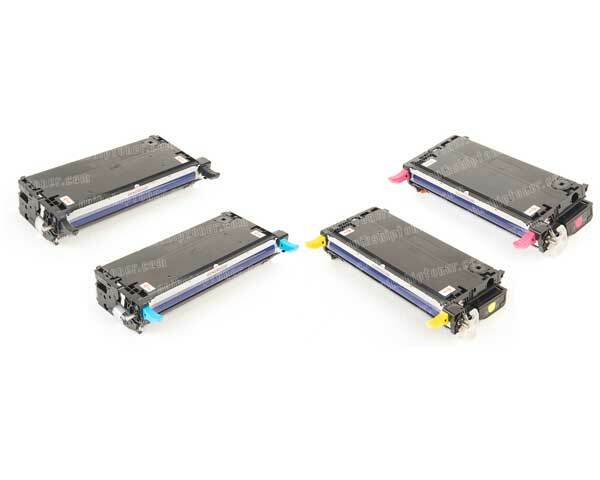 When installing a new cartridge, begin by holding the cartridge by both sides and shaking it around about five times in a side to side motion to loosen the toner inside. Some orange/yellow tape will be seen hanging from the cartridge and must now be pulled completely out of the cartridge. It is now time to remove the black protective cover from the cartridge, but once this cover Is removed the cartridge must be inserted immediately into the printer or the life of the toner will be shortened due to light exposure. Install the cartridge by grasping the handles on either side of it, being careful to never touch the exposed areas of the cartridge, and sliding it into the correct color slot. Be sure that the cartridge is seated firmly into position. NOTE: From top to bottom the order of colors in the Dell 2135CN is Black, Cyan, Magenta, and Yellow. 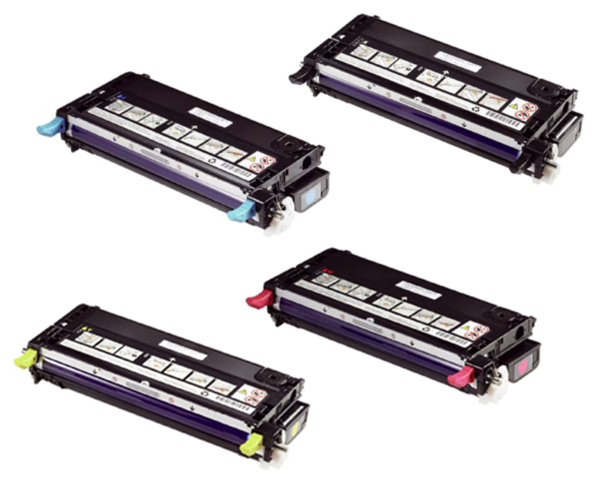 If other colors of toner cartridges need to be installed, simply repeat these steps to complete the procedure, but never keep the front door of the unit open for more than five minutes as this will cause light damage to existing cartridges. 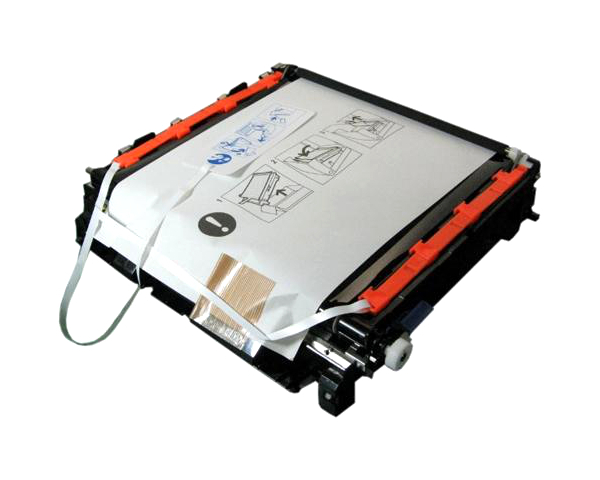 If desired, the instruction sheet can be peeled off the top of the printer once the procedure has been learned. 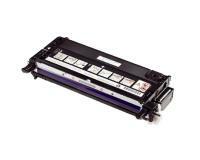 When the cartridges are all installed correctly, close the cover to the printer and print a test page. 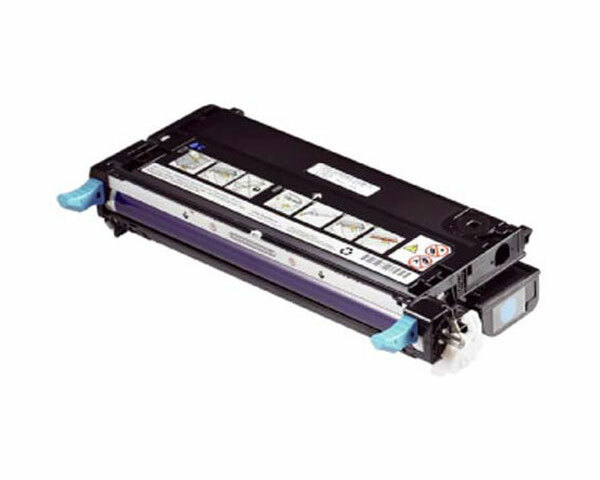 An optional duplexer is available for the Dell 2135CN that can be installed manually by a user without a technician. To install the duplexer, the front cover of the machine must be opened but the installation procedure should be completed within five minutes or else the toner inside could receive damage from light. 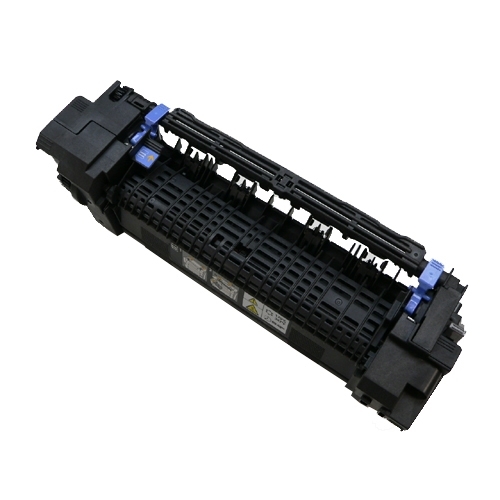 Be sure that the printer is turned off before attempting any installation procedure and remove all the packaging from the duplexer. 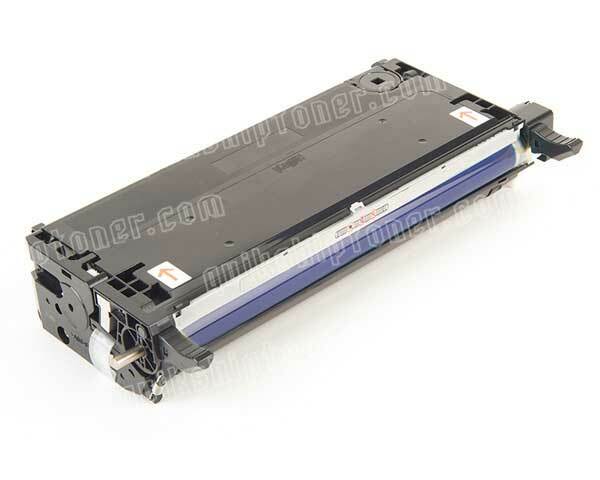 Press the side button of the Dell 2135CN to release the front cover which must then be opened. With the front cover open, it is always important to be careful not to scratch the exposed belt unit. Release the belt unit by pulling up on its lock lever and rotate it upwards. Locate the connector cap found under the belt unit and remove it completely. This will create a chasm for the duplexer to fit into. Point the connector of the duplexer towards this grove and push the unit down into it. Locking tabs on the sides should snap into place, but test the duplexer as well to make sure it is secure. If it is in proper position, the best unit can be dropped closed and the entire front cover of the printer can be as well. Turn the printer back on and print a PRINTER SETTINGS page which will indicate on it if the duplexer has been installed correctly. Not too long ago, color laser printers were too expensive for most people to even consider buying one. Now that the technology has matured, prices have dropped to the point where a color laser is an affordable investment. Dell offers for the business that has a network environment, the 3130cn color laser printer. The 2006 Dell 3130cn can print up to 31 ppm in B&W or 26 ppm in color up to 600 x 600 dpi. Built-in Ethernet allows other computers on a network to take advantage of this color laser printer, and built-in duplexer saves on paper costs. When color laser printers were first introduced on the market, they were big and heavy, and the 2006 Dell 3130cn is no exception. Weighting in at 53 pounds, the printer takes up a 16” x 19” footprint, with an 18½ “vertical, making it taller than many heavy-duty B & W desktop laser printers. The Dell 3130cn comes with a 250-sheet paper cassette and a multi-purpose flip-out door that can hold up to 150 sheets of legal or letter-size paper. 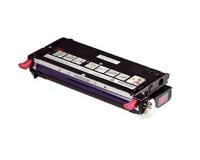 Businesses that need a color printer with better paper capacity have the choice of buying the 550-sheet cassette tray, which can be easily attached under the laser printer. Network-ready for 10/100BaseT Ethernet, the Dell 3130cn also has USB & Parallel ports for direct connection to any computer. The built-in 256MB of printer memory can be expanded up to a whopping 1024MB, enabling it to easily handle workloads as a high-volume office printer. The control panel is designed with a 2x16 character LCD display, indicator LEDs, and 5-way navigation controls. The layout of the control panel makes it very intuitive and straightforward to make configurations. If you happen to be an administrator, Dell’s Configuration Web Tool application gives you the ability to remotely monitor and manage the 3130cn. The Web Tool runs on IE, Safari, or Firefox Internet browsers and allows an administrator to remotely change network printer configurations and receive notifications. The biggest space in color printers gets taken up with the toners and drum assembly. The 3130cn’s great height is due to Dell designing the printer to have stacked toner cartridges. 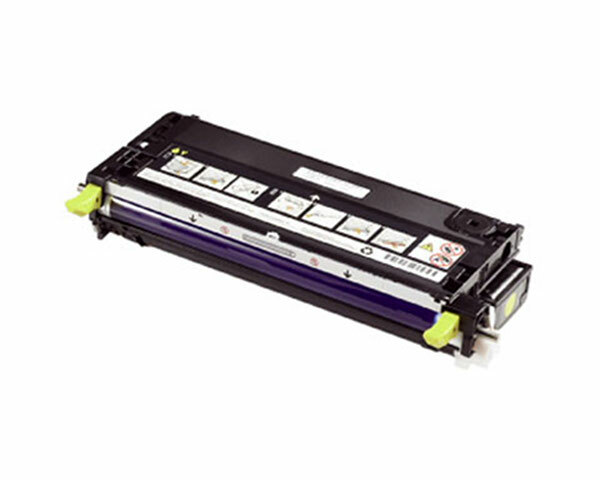 Because the light-sensitive drum and fuser are fully exposed when the front panel is opened, Dell warns not to keep the door open for more than 5 minutes or suffer premature print deterioration. Also, the process of replacing toner in the Dell is more difficult than seen in other color laser printers. There have been complaints from graphic designers of color alignment and registration problems, which is not a good thing if trying to do graphic posters and brochures. Sitting idle at 4dB, the Dell 3130cn produces 56dB of sound when printing. To give you an idea of what that means: 60 decibels is about the level of typical conversations. If you have a quiet workplace, you don’t want to place this near any office cubicles, but its noise will hardly be noticeable in a copy room or break room.